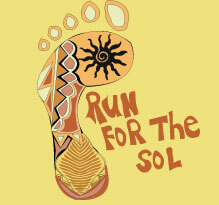 The Portsmouth High School ECO Club is hosting a 5k road race in collaboration with the Great Bay Community College on Saturday, May 12, 2012 in order to raise funds for solar panels at the High School. The road race will feature a 5k course at the Pease Trade Port with a start and stop point at Great Bay Community College. The start time will be 1 p.m. The course is on paved, flat, state-maintained roads. The course is considered to be fun and challenging for runners and walkers alike! Medals will be awarded to the top three places in each age group: 13 and under, 14-19, 20-29, 30-39, 40-49, 50-59, and 60 and above.